Gutter is a concrete component that constructed beside pavements. The function of concrete gutter is to discharge water and prevent it to infiltrate beneath the pavement. Moreover, not only does it eliminates the need for side ditches but also it enhances the performance of the road. This is because deterioration of pavement due to detrimental influence of water penetration is declined. It is crucial to properly construct concrete gutter to make sure that it functions adequately and meet requirement of the project specifications. In this regard, various construction methods and considerations shall be reviewed and best possible construction techniques and procedures shall be applied. 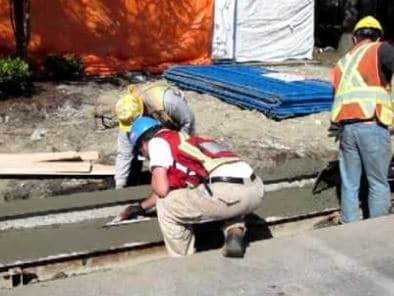 Stationary and slipform methods are used for concrete gutter construction. Wood, plastic, or metal form are used for the former whereas slipform machine is employed for the latter. There are several techniques used for the construction of concrete gutter. These methods have been developed to improve construction quality and increase construction speed to finish large scale works in short period. Commonly, concrete gutter is constructed beside pavements. Hence the layout of the concrete gutter is similar to the road. Surveyor shall set the profile and curves according to the design drawing. Disregard of whether slip form or cast in situ methods are used, the sub-grade shall be prepared adequately so as the concrete gutter can perform adequately. The sub-grade needs to be leveled sufficiently to the required elevation. 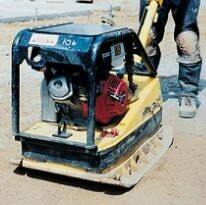 Then, it is compacted using suitable means. 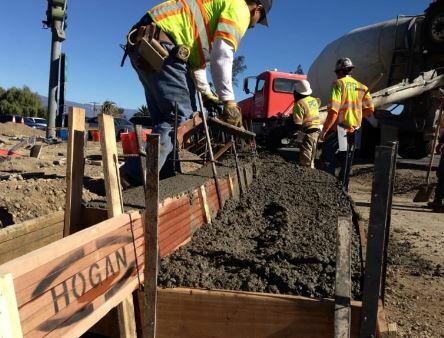 After that, the subgrade would be moistened prior to the placement of concrete. It may be required to pace a granular base if the soil at project is poor. This prevents settlement and future problems that may be encountered at latter times. Finally, the concrete gutters are highly likely to suffer from settlements, tilts, and cracks unless good construction practice are implemented. The type of forms required for the construction of concrete gutter is based on the size of the project and hence construction technique. For example, wood, metal, or plastic formwork, which is fixed manually at construction, is an economical and adaptable for small scale works. However, it is costly for large scale works since not only large labor force is needed but also the wood is only used few times. Moreover, metal and plastic form is superior to wood form because they can be used multiple times and require smaller number of labors. Metal and plastic forms can be prefabricated in factory to produce various cross section shapes. Fixing of formwork begins after the preparation of subgrade is finalized. Surveyor shall specify the correct location of the gutter and its trajectory. After the location is determined, stakes are driven into ground and then the formwork are raised to the designated elevation, then the formwork is locked to the stakes using wedges. 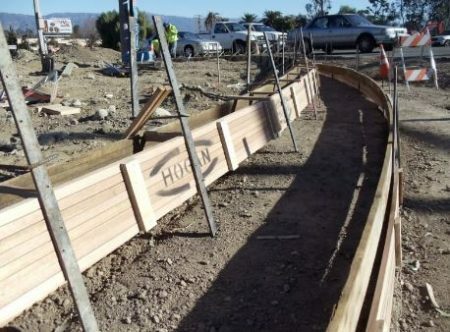 When the size of the work is large, then Slip form concrete gutter construction is employed. In this case, The path and elevation of concrete gutter shall be specified with string line. After that, sensors are attached to the string line and then slipforming operation would start. 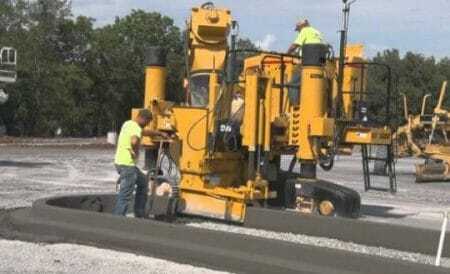 sometimes, it is required to prepare the area on which the slipform machine is moved. There are certain conditions in which the provision of reinforcement is a must. For instance, the American Concrete Pavement Association specify that steel bars shall be placed when concrete gutter cross utility trenches and it shall be extended 3m on each side. 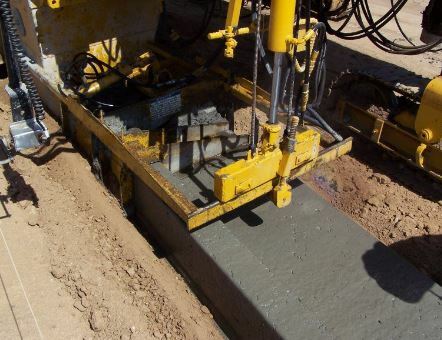 Additionally, if the type of soil at project site is soft and weak, then it would be necessary to install reinforcement so as to control or restrict settlements and crack width. Frequently, the placement to two No.13 bars are installed longitudinally. 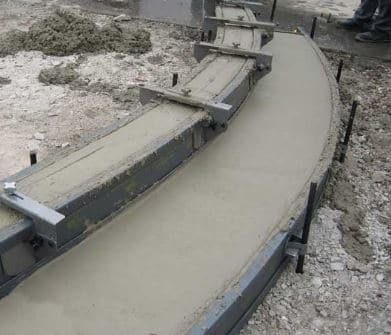 For slipform construction method, the concrete is placed using slip form machine. 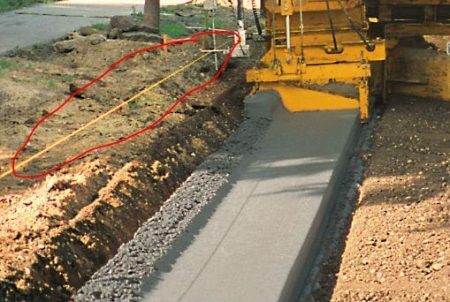 The machine forces the fresh concrete out but moves along the path of the concrete gutter with specified rate, as shown in Fig.8. For stationary construction method, after suitable means are selected for delivery and placement of concrete for example pumping, Fig.9. Commonly, concrete gutter might suffer from shrinkage and hence develop cracks. Therefore, contraction joints shall be provided at a spacing not larger than 7.62m. 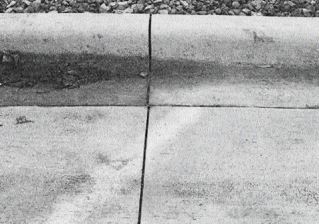 if the gutter and the curb are integral, the contraction joints shall be extended into the curb. When metal forms are used, then division plate is utilized to form contraction joints. However, if they are separate, then the location of contraction joints in the concrete gutter and the curb shall be at the same level. With regard to expansion joints, the spacing shall not be greater than 30.48m. Finishing process required for concrete gutter surface is dependent on the construction technique and cross section. For example, if cast in place method is used, then it would be necessary to float concrete surface. in contrary, flotation is not needed when slip form construction method is used. After finishing work is ended, curing process begins and suitable curing mechanism shall be used.